Last week the North American Emissions Control Area (ECA) went into effect, calling for ships to burn fuel with sulphur content no higher than 1%, but the local cruise industry is unhappy with the situation and, fearing 2.2 million fewer cruisers visiting North America, is lobbying for changes. Likewise, the State of Alaska, fearing a loss of its own of 585,000 visitors is suing the US Government, saying that implementation of the new ECA is unconstitutional. The big three cruise groups also reported on the second quarter of 2012 last week — Norwegian’s profit increased, Carnival’s dropped significantly, and Royal Caribbean reported a loss. Finally, Royal Caribbean told Seatrade Insider last week that it has not signed a deal to build a cruise ship in China. 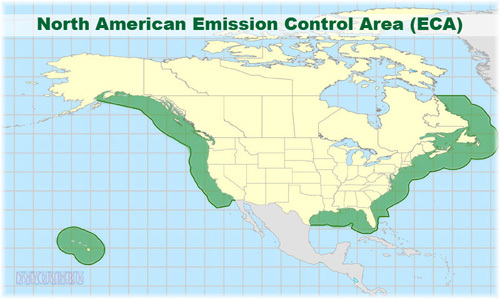 Last Wednesday, August 1, a new North American Emission Control Area came into effect, with rules that call for a maximum sulphur content of 1% for fuel burned within 200 nautical miles of most of the coast of North America. By August 1, 2015, this limit will be lowered to 0.1%. With the approval of the International Maritime Organisation, the Environmental Protection Agency (EPA) in the United States and Transport Canada have introduced the rules, and the respective Coast Guards of each country will be responsible for their enforcement. The penalty for any infringement is $25,000 per day, or $30,000 if records are not kept correctly, although Canada will not be fully enforcing the new ECA for several months yet, as it is still in discussion with its own domestic marine industry over fleet averaging. The immediate potential cost to the industry is relatively easy to calculate, as many ships will now have to burn more expensive fuel. On the date of implementation, for example, the price per tonne of 1% sulphur fuel in major US ports was 21% higher than that of the Intermediate Fuel Oil (IFO380) that is usually burned by many ships today. Last week, the Cruise Lines International Association (CLIA) released an estimate that indicated that, if enforced as proposed, the new ECA regulations would cause the number of cruise passengers visiting North American ports to fall by 2.2 million, resulting in a loss of 14,000 jobs and an economic loss of $1.5 billion annually to local economies. For some time now, CLIA has been proposing an emissions-averaging scheme instead of the current plan which simply calls for fuels with no more than 1% sulphur to be used within the ECA zone. CLIA’s approach would be a form of weighted averaging based on air quality, whereby participating cruise ships would consume low sulphur fuels where the human health benefits were the greatest, such as in or near ports, and conventional fuels where the human health benefits are minimal, such as at sea or away from population centres. The use of shore power in a growing number of ports could also be taken into account but under CLIA’s proposal no community would be subjected to higher emissions from a cruise ship than current levels and the global limits on sulphur content would continue to apply to all fuel consumption. April 19: Cruise industry ECA ‘sulphur averaging’ method on thin ice. Model that might allow higher sulphur fuel to be used near low-density pollution areas ‘has not gone down well’ with regulators. May 2: Cruise industry’s alternative ECA plan splitting opinions. EPA not in favour of CLIA’s sulphur averaging proposal but industry is lobbying Congress for support. May 23: EPA ‘apoplectic’ over cruise industry sulphur proposals. ‘Flexibility’ for cruise industry could mean emissions ‘ten times’ greater than would achieved by following ECA regulations. July 23: Cruise line members want to see ECA flexibility. Cruising in Pacific North could be curtailed by bunker shortages and higher prices. Outside the cruise industry, Boston-based short-sea shipping operator CSL International has called for the limit to be reduced to 50 miles in 2015 for vessels of less than 20,000 horsepower, as use of the low sulphur fuel beyond that distance may not provide any appreciable environmental benefit. In Europe, meanwhile, ferry companies have proposed delaying the implementation of the lower 0.1% limit. Meanwhile, on July 13, the State of Alaska filed a lawsuit seeking relief from the enforcement of the ECA in Alaskan waters, saying that the extension of the ECA to Alaska was unlawful because two-thirds of the US Senate had not consented to the extension as required by the US Constitution. Alaska therefore requested that Secretary of State Hillary Clinton’s acceptance of the ECA’s extending to Alaska be set aside and the enforcement of the ECA in Alaskan waters be permanently prevented. The defendants in this action were named as the Secretary of State, the EPA, the US Coast Guard and the Department of Homeland Security. For the cruise ship industry, Alaska estimates the ECA would mean 585,000 fewer visitors to the state, resulting in $150 million less income for Alaskan workers and $180 million less direct spending by Alaska tourists. Not only that, but in a state that is heavily dependent on imports through the port of Anchorage, the effect on cargo would be in increase shipping costs of between 8% and 20%. The bill reins in funding and out-of-control regulation at the EPA, funding it at $7 billion, which is $1.4 billion, or 17% less than fiscal year 2012. It also maintains a cap on EPA personnel at the lowest number since 1992 and makes cuts to other EPA programs and funding. The jury is still out on whether Congress will be able to help the cruise industry, but it is interesting that even after the official implementation date Canada is still negotiating fleet averaging with its own marine industry. The three major cruise line groupings last week released varying results for the second quarter of 2012 and they are summarised herewith. Norwegian Cruise Line profits were up, Carnival Corp & plc profits were down and Royal Caribbean actually slipped into a small loss. The best result came from Norwegian Cruise Line, which for the quarter ended June 30, 2012, reported improved revenue performance, which coupled with business improvement initiatives resulted in a 14.1% increase in operating income to $87. Net revenue increased 2.7% due to an improvement in net yield and a 1.5% increase in capacity days. Net yield increased 1.2% (1.9% on a constant currency basis) as a result of higher average ticket pricing. The company posted a 23.3% increase in net income to $36 million on revenue of $583.2 million, from $29.2 million on revenue of $568.6 million in 2011. Carnival Corporation & plc, however, reported income down, announcing for the second quarter of 2012. Reported US generally accepted accounting principles (GAAP) net income was $14 million. Non-GAAP net income was $159 million, which includes unrealized losses on fuel derivatives of $145 million. 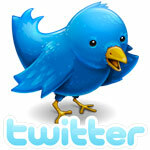 Net income for the second quarter of 2011 was $206 million. Revenues for the second quarter of 2012 were $3.5 billion compared to $3.6 billion for the prior year. Cruise ticket prices (excluding Costa) held firm close to sailing which, combined with stronger than expected onboard revenues, drove yields above prior year levels. Carnival’s North American brands performed well, achieving a 3% revenue yield improvement over the year before, which more than offset slightly lower yields for Europe, Australia and Asia brands (excluding Costa). In addition, focus on cost controls and fuel consumption helped to mitigate the impact of higher fuel prices in the quarter. Royal Caribbean Cruises Ltd, meanwhile, reported a small loss. Second quarter results for 2012, revealed a net loss of $3.6 million, versus net income of $93.5 million in 2011. Net yields increased 4.5% on a constant currency basis (+1.8% as-reported). Since the company’s April guidance, the strengthening of the US Dollar and decreases in fuel pricing have essentially offset one another. Business demand remains solid in the Caribbean and Asia, but larger than anticipated discounting has been required in Europe. The company has been able to offset more than half of the yield declines through additional spending reductions. On Friday, the well-informed Seatrade Insider newsletter confirmed most of our story last week on plans to build China’s first cruise ship, including the involvement of both Deltamarin and PFJ Maritime Consulting, together with the Shan Hai Shu Group and Xiamen Shipbuilding Co Ltd. But despite several press reports from China that Royal Caribbean would have a role in the building of China’s first new cruise ship, Seatrade reported that the company has denied any involvement with a newbuilding. “Royal Caribbean has not signed any deal, with any government entity, or company in China, to build a cruise ship,” a spokesman told Seatrade. 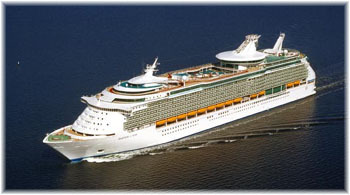 Earlier this year a four-month charter of Legend of the Seas to Shan Hai Shu subsidiary China World Cruises was cancelled after China World Cruises did not meet the terms of the charter contract. Meanwhile, Royal Caribbean announced in June that it would send the 3,114-berth Mariner of the Seas to join her sister ship Explorer of the Seas in Asia next June, thus basing two giant cruise ships in China. The interesting difference between his September and June statements was that the emphasis had changed from “attracts tourists from around the world” in September to “an outbound travel market of 56 million” in June. Last week, however, Michael Bayley became president and ceo of Celebrity Cruises, replacing Dan Hanrahan. A graduate of the University of Bournemouth, Bayley is also a director of TUI Cruises in Germany and among other roles, had previously served as managing director and then chairman of Island Cruises, a two-ship joint venture at the time between Royal Caribbean and TUI.